Declutter and enjoy the extra space in your home. Moving or renovating your home? Store-Y offers you space for temporary storage of furniture, important documents and other house hold goods. If you’re a hobbyist who likes collecting figurines or paintings, we have storage space for you too! 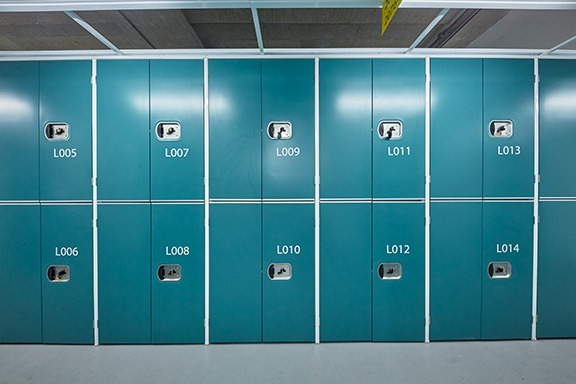 You can store your collectables in our secure facility, ensuring piece of mind that your items are kept safe. Renting a Self Storage unit in Sembawang, Woodlands or Yishun takes the stress out of moving and allows you to sit back and feel comfortable and relaxed in your home. If you are unsure as to what size unit you need then use our trusty size estimator online or call to talk to one of our friendly staff members. We share with you the reasons why you should select us as your preferred self-storage provider. We have a variety if unit sizes to cater to different needs. Visit your storage unit to retrieve or offload your belongings, anytime of the day. Enjoy the pristine condition of both our facility and the development we are located in! Lease and move in within the same day. Enjoy the peace of mind that your belongings are safe and secure. Obtain your packing supplies from our Box Shop, to help you pack and store your items safely. Discover how convenient a self-storage unit can be when you are relocating or renovating your current home, with affordable short and long term storage solutions to suit everyone’s needs. Protect your delicate and breakable possessions from damage during the renovations, put those large furniture items you may not need into self-storage before your move so you can take your time to decide what you really want to do with the space. Perhaps you are expecting a new addition to the family or your kids are growing up and want more of their own space, consider using a self-storage unit to create extra room for your family. Our units come in a range of sizes, so you will be able to store large furniture items as well as old toys and clothes that you may want to pass on to friends or other family members when they are older. Imagine having a whole other room to keep your winter wardrobe, or if that doesn’t sound appealing, imagine having your own man-cave where you can work or relax in peace. Our self-storage units can be used for a variety of day-to-day purposes and at an affordable price.